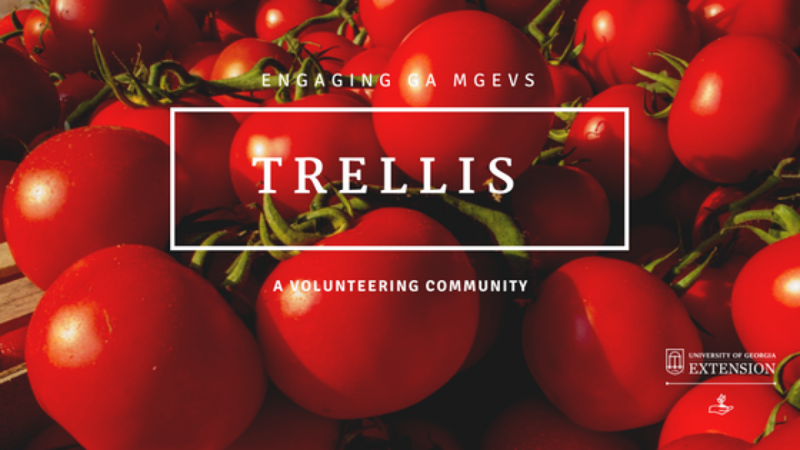 Have you ever wondered what is going on at UGA’s Durham Horticulture Farm? The faculty and staff of the Department of Horticulture at The University of Georgia would like to fill you in and invite you to attend their biennial Horticulture Research Field Day at the UGA Horticulture Farm in Watkinsville, Georgia. Faculty will be stationed throughout the farm to discuss their research projects. This year, we will have 7 researchers presenting projects taking place at the farm. Topics will include landscape plant establishment, ornamental plant breeding, sustainable vegetable production, and pollinator health. While you’re in the area, you won’t want to miss seeing the State Botanical Garden of Georgia and the Trial Gardens at UGA. Directions to these locations will be provided at the Open House. Registration begins at 8:30 a.m. and tours start promptly at 9:00 a.m. rain or shine. Dress appropriate for the weather and wear comfortable walking shoes. In addition to the open house, a free light lunch will be provided for participants after the tours end. This year’s event is limited to 200 persons, so early registration is encouraged. Using trap crops can be an effective way to pull damaging insects away from our desirable produce. Once trap crops are inundated with damaging insects they can be sprayed to knock down the population of the pests. We will cover the effectiveness of this method of insect control as well as other cultural practices to control insects in the garden for homeowners as well as small market producers. Dr. John Ruter will discuss new selections from his ornamental breeding program which spans from Abutilon to Thuja. His doctoral student Kaitlin Barrios will discuss her breeding work with hardy hibiscus which includes interspecific hybrids and breeding for insect resistance and improved flowering and foliage. Plants use a variety of characteristics such as color, shape, and odor to lure pollinator and beneficial insect flower visitors including bees, butterflies, flies, and beetles. Through research conducted at the UGA Butterfly and Conservation Garden in Griffin, Georgia, certain ornamental floral resources deemed appropriate for southeastern landscapes were found to attract a variety of potential beneficial arthropods to the ornamental beds and plantings. An update will be provided on our breeding program at the UGA Urban Agriculture Research Station in Griffin, GA; specifically, our efforts with woodies and herbaceous plants. Promising new selections and potential cultivars of little bluestem, vitex, abelia and spigelia will be highlighted. After returning to UGA (from the University of Maine) for the last 5 years, Dr. Donglin Zhang and his lab crew have established a fully functional woody plant research laboratory and field breeding and selection program. As part of the field day events, the lab crew will share with you new woody ornamental plants for Georgia and adjacent states. Want to know how these new plants are bred? Come and find out! Dr. Smalley will relate the results of his studies on rejuvenation pruning, amending annual planting beds with Biochar Source, and the effects of soil pH, mulching, and irrigation on growth and disease incidence of Buxus sempervirens ‘Suffruticosa’. Did you know that UGA’s Warnell School of Forestry & Natural Resources as well as the UGA Horticulture Department are part of the international effort to bring back the American Chestnut? Ryan will update you on the overall progress on reintroduction of the American Chestnut as well as what we at UGA are doing to aide in the process. Posted in Continuing Education and Awareness, Ornamentals. Bookmark the permalink.